So… from our second day’s tutorial. we were able to set up leave types, creating leave group,setting up time-off days. Lastly, we learnt how to create a new user group and your first login user(You). Click on the Payroll Management menu to expand,scroll down and then select add/edit payroll group. Tick the Overtime payment and/or Weekend payment if you have a third party tool (Bio metrics)that captures in-out of office and would like to upload data from it monthly to calculate the overtime. An example a payroll group is called Management Payroll Group. Within the management payroll group, I may define Senior and Mid-level staff. 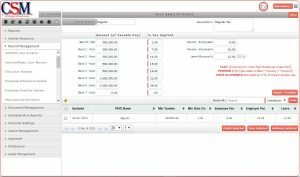 Now you have succeeded in creating a payroll group,now you will need to setup the wage items and the payroll items. On the top right field,click on the drop down menu to select the payroll group in step 1 above then click the load tab to view. Type payroll item name and the percentage of gross(%) for the item. 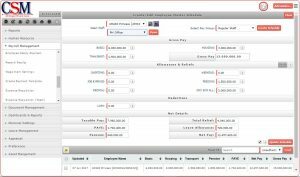 Click on the down down menu to indicate either credit(Cr) or debit(Dr).The payroll setting is set on default mode based on the Nigerian tax law. Tick if the items are taxable,pensionable or should be active. Now that you have successfully created your first wage setting group, we would now proceed to setting up the deductions in payroll group. The PAYE Band setting page is displayed. Click create template button to save the template. Now, repeat this step as many times as required to add the different deduction masters. Make the changes or update and click the update template button to save the updated masters. Wow… that took a bit. But you are now done. On this page you will setup the break content that makes up an employee’s salary package. 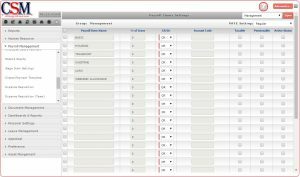 Creating and editing Your Master Schedule. NOTE: For automated calculation, click on the small box, and click elsewhere on the page. This depends on the use of time attendance with finger print machine, [overtime]. 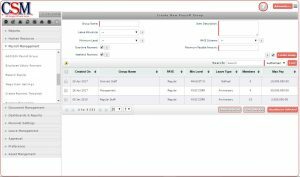 The employee payment template will be authorized and you can view the record when you search to access the authorized record. The employee payment template will be unauthorized and you can view the record when you search to access the unauthorized record. The employee payment template will be deleted and you will be unable to view the record when you search for it. You have created your employee payment template and wish to update the employees job and educational details. It is worthy to note that all authorized employees details must be unauthorized to update any detail. Enter the employee name in the Search field,click on the dropdown,select un/authorized and load. Click un/authorize button to save. Updating Your Employee Educational details. From the Human Resource menu, click on create/edit employee. 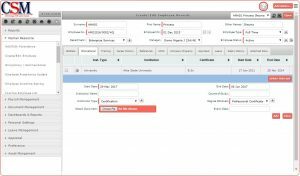 You will be present with the relevant field to creating and editing employees details. Click on the Educational button to load page. Select all fields from drop down menu. Click the + button to add more type and/or title to save. Click the choose File button to upload documents. Click add button to save. Updating Your Employee Job details. Click on the Career History button to load page. Click the + button to add more type,unit and/or designation to save. Finally to authorize employee details repeat Step 1.